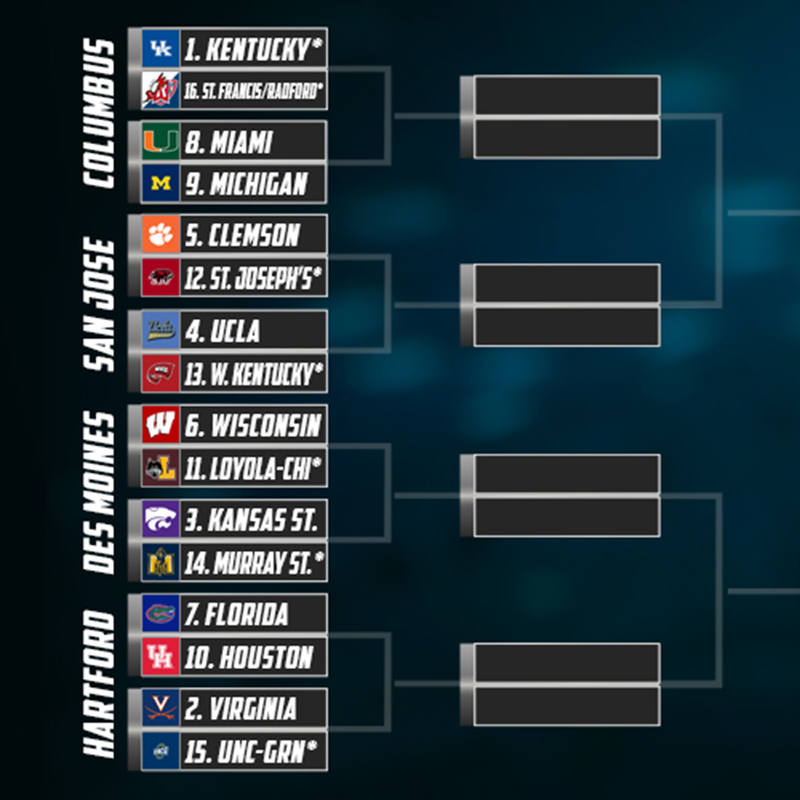 Jeff Goodman has brought me on board to be Stadium’s resident bracketologist. I’ve been doing this for more than a decade, and my ranking among the Bracket Project – the place to keep track of all those who project college basketball brackets – is sixth among those who have done it for the past 10 seasons. It’s been over seven months since Villanova cut down the nets. It seems like far more time has passed as stories off the court (and in court) have dominated college basketball news. The season has finally arrived and with that comes my first bracket of the 2018-19 season. 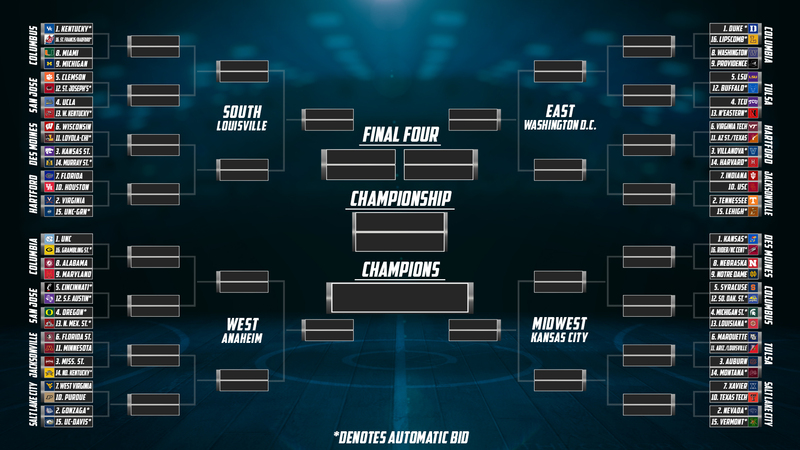 Like every year, teams are seeded in the preseason bracket based primarily on potential – with consideration given to schedule and conference strength as well. But unlike past seasons, once we have results to consider, there will be no RPI numbers to evaluate. The NCAA Division I men’s basketball committee has introduced NET, the NCAA Evaluation Tool. We will get into the nuts and bolts of NET as the season moves along, but it’s safe to say that it will add intrigue and much discussion when the first NET rankings are released sometime around Thanksgiving. 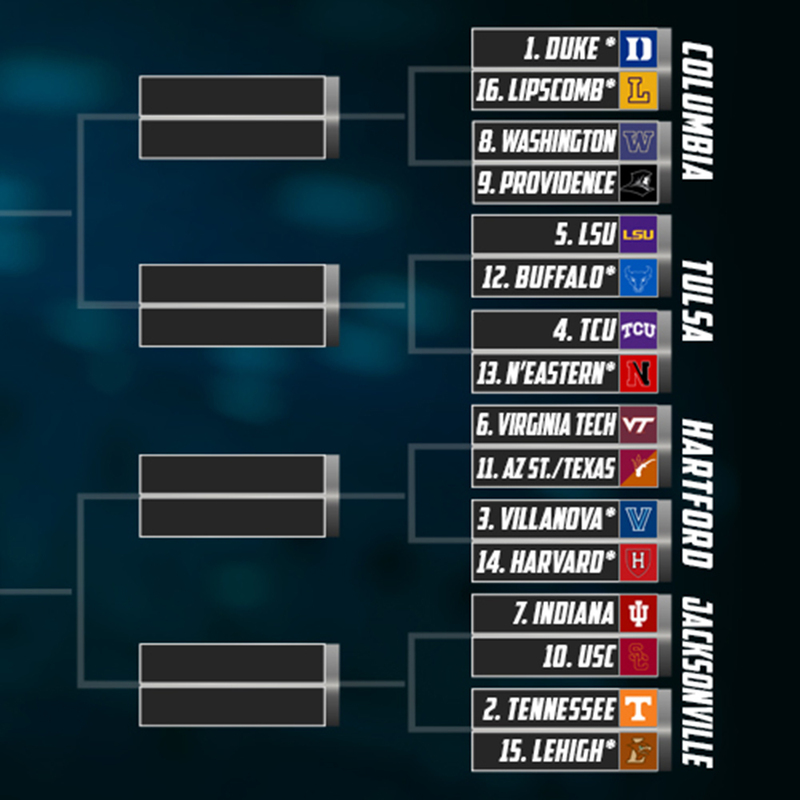 Now let’s take a brief look at the preseason bracket – and each region. If they get to the Sweet 16, Kentucky won’t have to travel far as the South region will be played in Louisville this year. Several teams could challenge UK including Virginia, hungry to erase the first round loss to UMBC in last season’s tournament. Kansas State is definitely a team to watch. The Wildcats return a strong nucleus from last year — all five starters from a group that advanced to the Elite Eight. If you are looking for a bracket buster, there is certainly one that stands out: Last year’s Cinderella, Loyola-Chicago, is an 11 seed. North Carolina is the one seed, but it’s not a slam dunk. In fact, if this was the bracket the Tar Heels would face in March, they would have their hands full with the Alabama-Maryland winner. 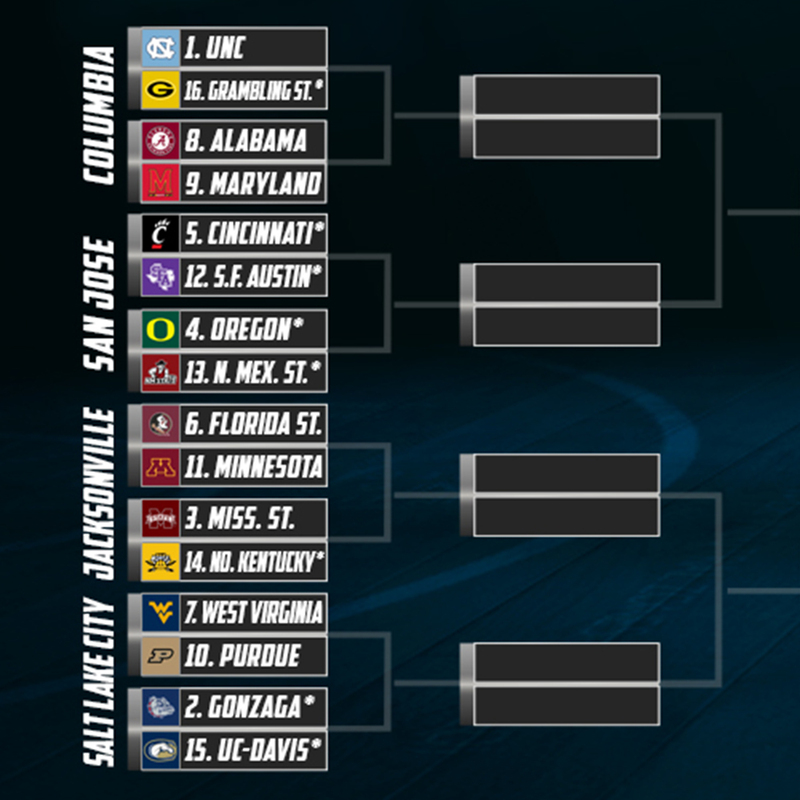 On the other side of the bracket, many would pick Gonzaga to advance to the regional title game in Anaheim. But don’t sleep on three-seed Mississippi State. Head Coach Ben Howland returns nearly everyone from a squad that went on an NIT Final Four run. A number one seed is a very familiar spot for the Duke Blue Devils. However, a strong challenge looms in their pod in Columbia. Both Washington and Providence are very capable. Keep your eyes on freshman David Duke for the Friars. Defending champion Villanova would face a strong challenge from number two seed Tennessee. But my choice for a dark horse in this region would be LSU. Guard Tremont Waters is electric for the Tigers, who add a trio of talented freshmen. Kansas City will host this region, and number one seed Kansas would love to have that home crowd advantage. But the darling of this region could well be Nevada. Playing a style that fans love, the Wolfpack returns Cody and Caleb Martin, as well as swingman Jordan Caroline. Marquette could be a sleeper as the No. 6 seed with the shooting of Marcus Howard and Sam Hauser. 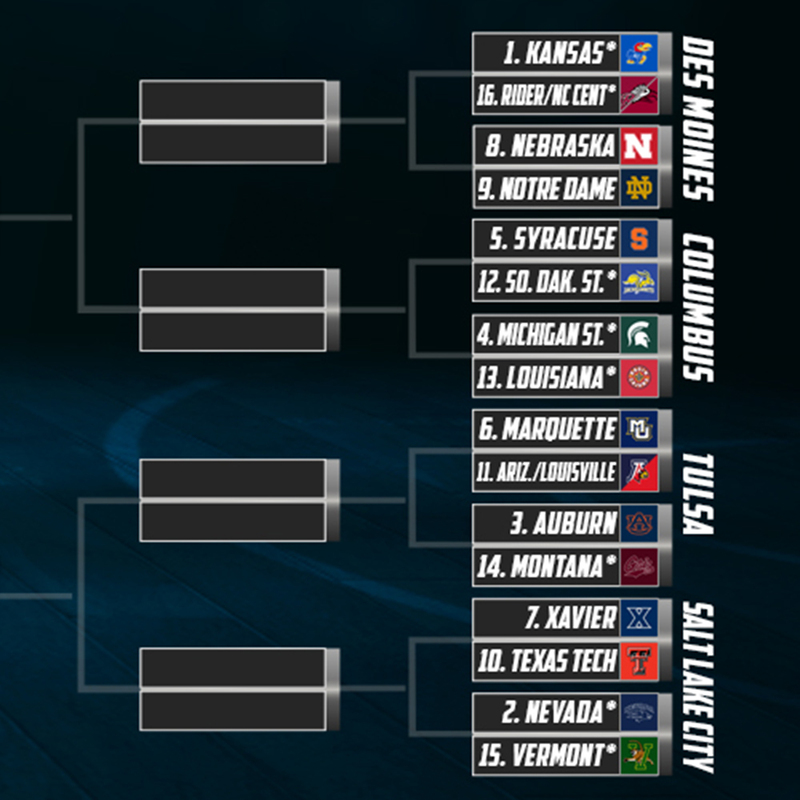 However, they would be overshadowed in their pod by the First Four matchup of blue bloods: Arizona vs. Louisville. Look for my next bracket in late November after the Thanksgiving tournaments have concluded. Follow my updates throughout the season @tkbrackets.